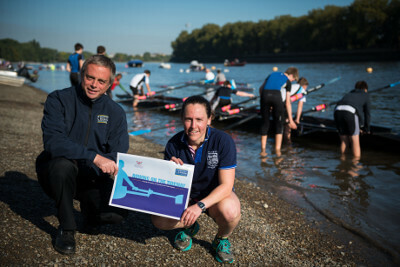 As the rowing season kicks off, an updated, easy-to-use guide to rowing on the Thames has been launched by the Port of London Authority and Thames Regional Rowing Council (TRRC).The original Rowing Code of Practice, launched in 2006, rapidly became the ‘bible’ for safe rowing on the Thames. The new, user friendly version was developed by the PLA in partnership with the TRRC. It is packed with graphic illustrations covering: principles of rowing on the Thames; local river characteristics; navigation tips; and practical advice on use and maintenance of safety equipment like life jackets. Sophie won Olympic gold with Kat Copeland in the women's lightweight double sculls at London 2012. “Our job is to make it easier for people to enjoy the river safely,” said the PLA’s recreational assistant harbour master, Jon Beckett. “The new Code is part of that drive as we’ve now distilled the basic principles of the original document and presented them much more clearly, so they are immediately clear for all river users. The original Code’s guidance centred on the traditional heart of Thames rowing, between Putney and Teddington Lock. The new Code for the first time includes details of rowing in the Greenwich area too. 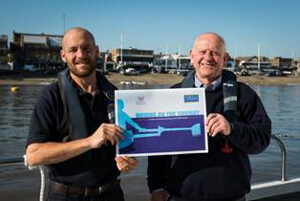 The updated Code sets out more clearly than ever the simple steps rowers need to follow in order to share the UK’s busiest inland waterway safely with vessels including pleasure cruisers, fast ferries and barges. “Skippers of faster and larger vessels are going to find the updated Code useful as it will help them understand the rules rowers are following,” concluded Jon Beckett. The new version of the Code was designed by rower and TRRC-member, Neil Pickford. It is being distributed to rowing clubs along the Tideway, with PLA and TRRC providing briefings to introduce it.